It’s only fair that koi are still the stars of the show and in the heat, they’re hard to miss. Whether you’re buying them for your pond or entertaining the kids by feeding them in store (the carp, not the kids!) 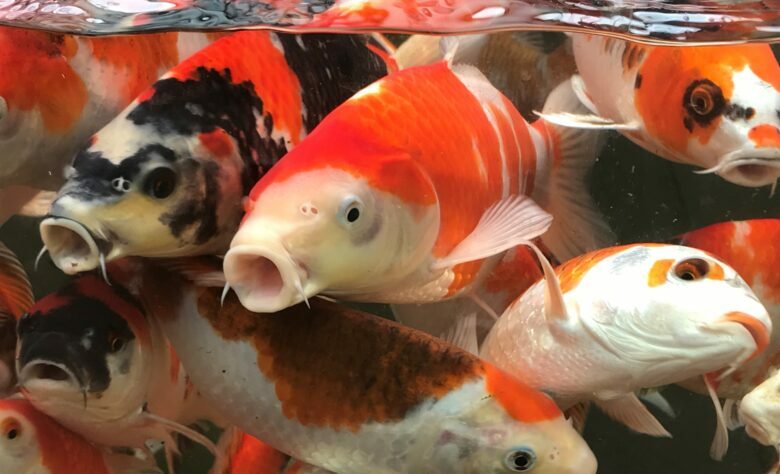 it’s hard to ignore fish that seem keen to climb out of the water to get to you. The viewing window at our Bristol store gives a very intimate view of these hungry beasts. During this heatwave the terms ‘tropical’ and ‘coldwater’ become academic. It’s fitting that we look at a species which is happy either way. 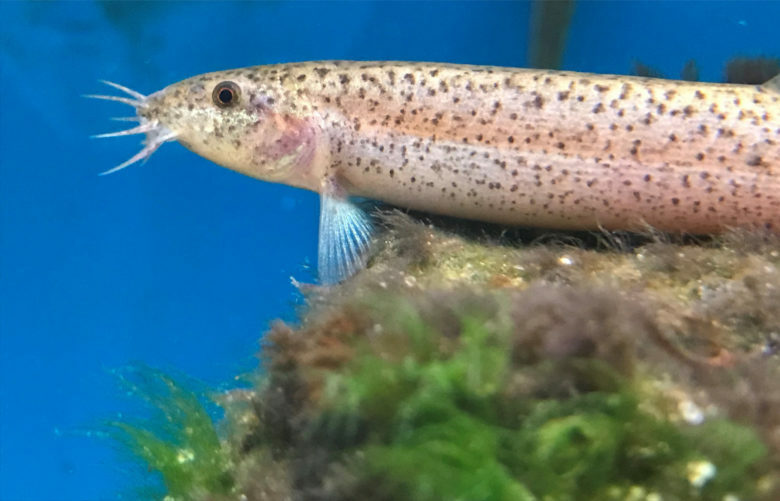 The Weather loach(Misgurnus anguillicaudatus) is a fish full of character that will thrive in a large tank at room temperature, making it a good combination with properly kept indoor goldfish as long as these aren’t of the too highly bred and wobbly types. 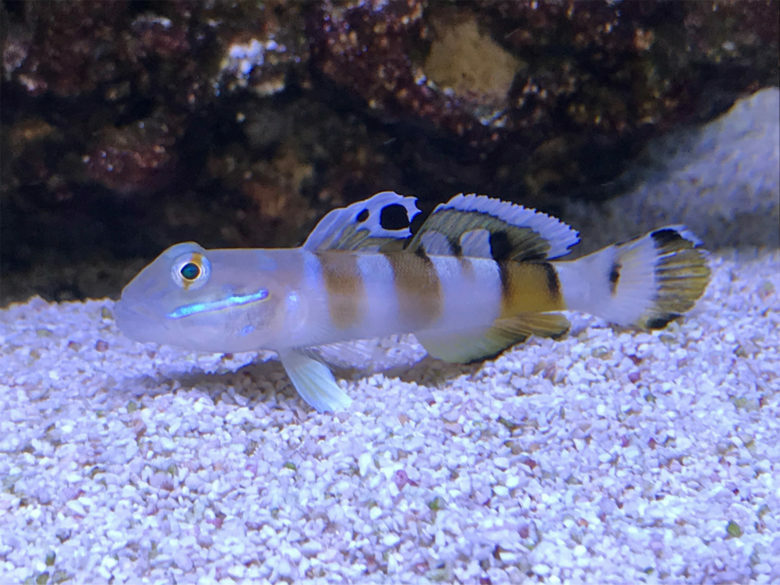 They’ll also live happily alongside large community fishes and most non-aggressive types that don’t mind sharing with nosy loaches. This one was contemplating its next move at our Thornburybranch. The tetra family keeps on giving and it’s still possible to encounter unfamiliar species, such as these Blue ribbon tetras (Hyphessobrycon melanostichos). Compared to many of their cousins these are a new kid on the block but coming from the Rio Tapajos drainage it’s fair to say that the standard preferences for large groups and soft water suit them well. Having seen them in planted aquaria, it’s fair to say that these are only showing a hint of their full colour and courting males become particularly splendid. I’ll look forward to seeing this batch atBristol develop. 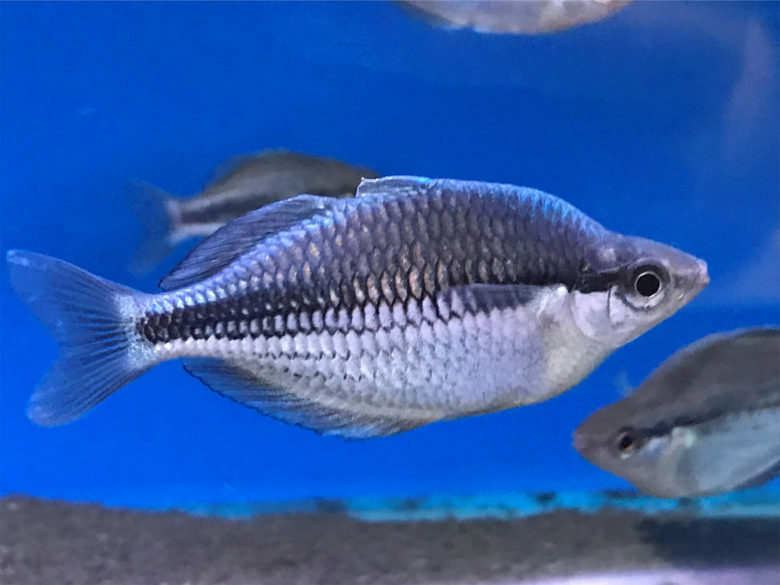 For years there was only one blue rainbow in the hobby - the Lake Kutubu blue (Melanotaenia lacustris) but recently another species is making a steel blue splash. 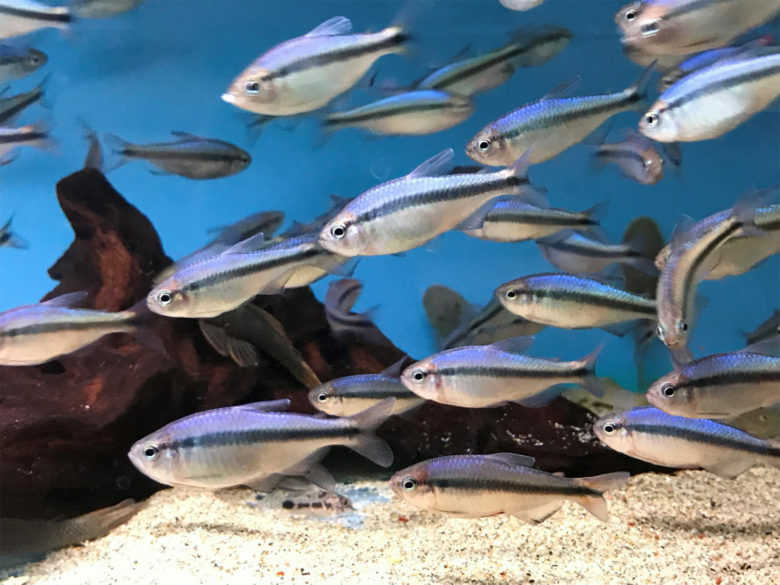 The Kamaka rainbow(Melanotaenia kamaka) is slightly smaller than the Kutubu fish with males in particular becoming deeper bodied relative to their length. As with all rainbows, a large group in a planted tank will soon become a real feature. This was one of a number of highlights at the Leicester store.